I could start by noting that it’s been TWO YEARS since part 7 of my 10-part series on shame was written. Just picking up the proverbial pen and paper after such a long absence triggers all of my performance shame. Why didn’t you finish this before now? What’s the point of continuing the stories of shame so long after the last part? Why write at all? But I want to speak against the performance shame that would keep me from creating new words and writing new ideas by starting. My daughters are in second grade now, and while there is much that I love about this age, I’ll admit that I’m inwardly a little sad because they start getting grades. For the first time in their lives, they’re going to be given “A’s” or “B’s” or “C’s” or any combination thereof. And the message will begin to creep in that their worth is tied to their grades. And the shame may start when she compares her work to her sister’s and finds that hers doesn’t quite measure up. What makes me sad is that I see this process still at work in my own life. I don’t get graded on my performance – not in letter grades at least – but there are subtle and not-so-subtle ways that I’m told how good my performance is. Like money. Let’s talk about that taboo subject. Don’t all of us inherently assume that the more money someone makes, the better he or she is? The more worthy they are of our adulation? And no one wants to get a pay cut – not simply because of having less money for spending but also of the inevitable struggle with self-worth that will follow. We are trained to equate our financial worth with our value as people. It becomes the adult grading system of how “good” someone is and how much they’ve “arrived.” Yet the problem isn’t with money itself, nor it is wrong to have a job that pays well. The problem is that performance shame teaches us to measure ourselves against one another, and to do so via our output (performance). In other words, we compare. And in comparison, I will always come up short or superior. Neither is a place where we are to dwell. 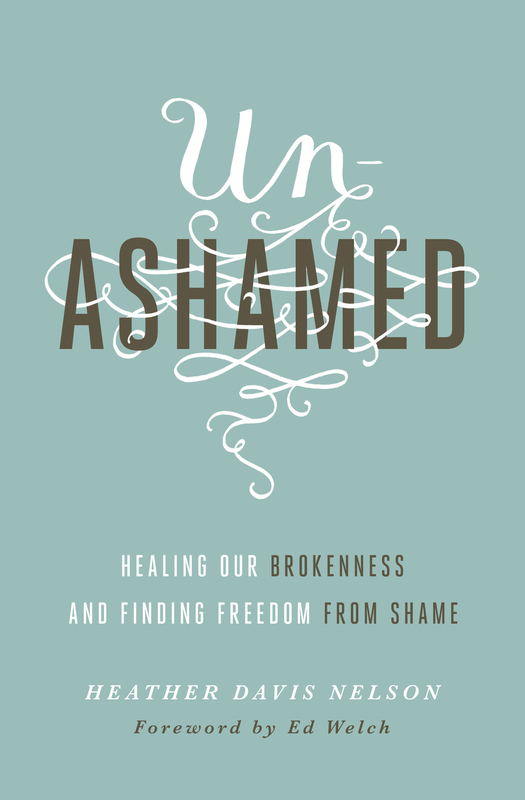 How does Jesus break into our performance shame cycles? He does the disarming thing of saying, “It is finished,” at His lowest, most shameful moment of his life – death on the cross. It looks like utter defeat and total failure (what performance shame most fears). But what is finished? All of our striving – all of the ways we try to prove we are worthy to others and ultimately worthy of our Creator God. He flips the definition of shame on its head and completes what will always be unfinished in my half-hearted efforts. He trades my imperfection for His perfection – giving me not only His clean record, but His righteous living. In the Spirit, I am free to live out of Christ’s life. And His is perfect. There’s no room for comparison here, no waiting to see if I’ve “made the grade.” It’s already been accomplished, and it’s perfect. How does that change my life – my work? It means that I am free to push past shame’s lies of not-worthy and not-good-enough and don’t-try. I look at Jesus’ perfection on my behalf, and I freely engage in the work and life He has given me to live. I can rest before my work is done. I can appreciate another’s work and art without jealousy. I can make mistakes because my salvation and God’s love for me doesn’t rest on my efforts but on Christ’s finished work. And then joy begins to take root in place of shame as I find myself in a community of fellow ones who are free.